The other day I saw a conversation starter on Facebook. It went something like this: What was the first thing you did after giving birth? My immediate thought surprised me: I don’t know, I haven’t given birth. You see, Little M was born by caesarean. I honestly feel that way. 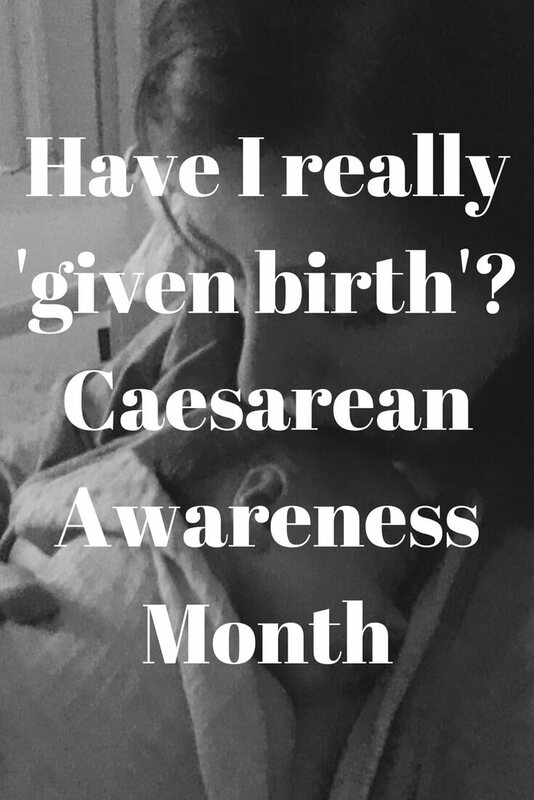 Little M was a breech baby, and so was delivered via caesarean section. And that’s how I think of it. She was delivered to me. 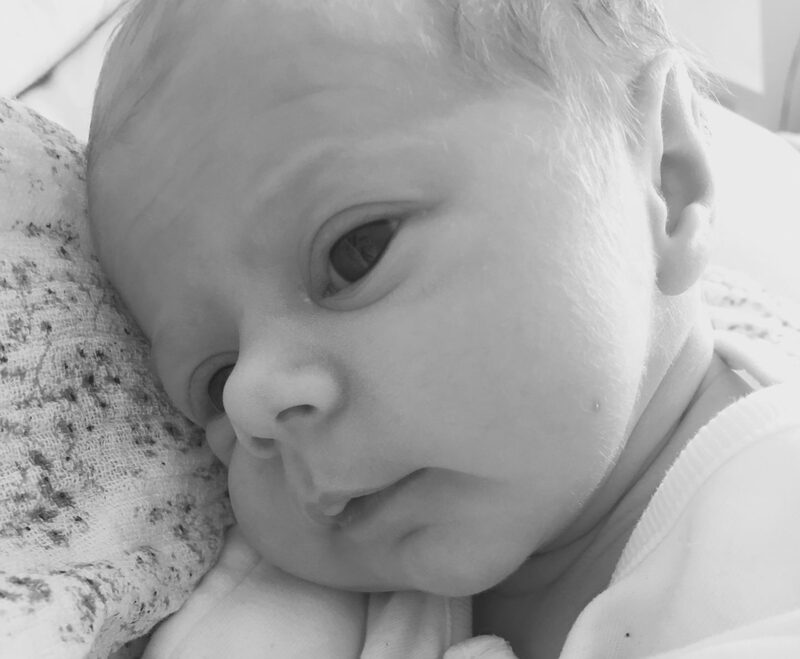 I haven’t written Little M’s birth story yet. I think this might be what’s holding me back. At first I felt like less, somehow. Less of a mother. But then I had a stern word with myself and told myself that I still love Little M just as much as if I’d ‘given birth’ to her. I’m just the same parent as I would have been if she’d come out the natural route. I still feel like I’ve missed out, somehow. No excitement of waters breaking, no story of how the labour unfolded, or swearing at my husband (I feel it’s quite likely that this would have occurred, not because of my husband’s nature, but rather my sharp tongue!). But worst of all, no memory of my baby rushing out of me and being placed, warm, wet and screaming, onto my chest. Instead she was held up over the curtain for me to see, blue and writing, like some form of alien being, and handed to a nurse, who took her to be checked over and weighed. At my c-section pre-op, I had asked for her to be placed on my chest immediately, but this request was denied. I still don’t really understand why. Something about the baby needing to be checked over. This was done just over my right shoulder, where I could only see by straining my neck, so I reluctantly turned back to hear the surgeons who’d carried out my caesarean debating whether or not they could ‘squeeze another one in before lunchtime’. Hardly the magical birth moment that I was hoping for. Was this the birth story I’d hoped for? Definitely not. Did I give birth to Little M? No, I still don’t think I did. But I did give her life. And that’s fine by me. "Meet the Parents – Advice for New Mummies and Daddies from The Ish Mother"
Beautiful photograph. I’m sorry to read that you feel like this. The dream is often very different from the reality isn’t it. Thank you. It certainly is! oh love this is how I spent my first 2 sections. I felt I hadn’t given birth but for some reason Jacobs birth made me feel I had. I think the team I was lucky to have were amazing and listened to all my requests and i held him within seconds of the cord being clamped and cut and he only had a minimal wipe over and was sat on my chest under the drapes for the rest. I’m so pleased to hear that your third section was more positive than your first two. I think if I have to have another I’ll push for skin to skin sooner. Love this post. I know exactly what you mean about all of those feelings as I had Zach but csection and felt all of them. I had instant love, instant amazement at my baby but there was no proudness of what my body had done. Thankfully I got my wish of a vbac with Oscar and even though it was one of the most horrendous things I have ever been through, I am so glad I got to experience it, and feel that rush of “I bloody did it” (cause in all honesty I didn’t think I could when it was happening). I still however believe that I birthed both of my babies. Although I’ll always feel guilty that Zach didn’t get the instant skin to skin that Oscar did!! Mummy guilt is the worst, isn’t it? So often we feel guilty about things we have no control over. I’m pleased to hear that you feel your VBAC was a positive experience, despite it being horrendous! I’ll hope for a VBAC if I’m fortunate enough to have another pregnancy. This article just broke my heart. </3 I've given birth to both of my children in birthing centers and am having my third at home in a few weeks. C-section births are just as "legitimate" as some woman giving birth in a glowing pond at sunset. I hate the word "natural" in reference to childbirth because it automatically implies that there is somehow an "unnatural" way to deliver a baby. You grew that person. You're a mother. You made a decision for yourself and your baby, even though it was difficult. You made a sacrifice for your baby. It's what moms do. My heart breaks for you because it doesn't seem like the decision was entirely yours. You didn't get the experience that you wanted, which you are completely entitled to feel at a loss for. Your baby is absolutely gorgeous. M just came out a different route; kinda like taking the train instead of walking somewhere. For what it's worth from an internet stranger; you gave birth. You brought someone into the world. Thank you so much for your kind words. I’m pregnant again now and waiting to see what happens and whether or not I can have a VBAC. I know it was the right decision to have M by caesarean, though. I wouldn’t have wanted to risk a ‘natural’ birth in those circumstances. Good luck with your third birth!